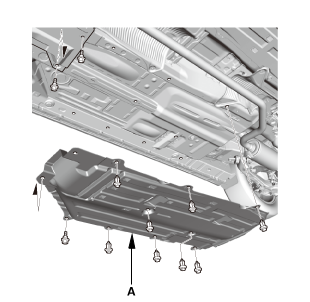 NOTE: Refer to the Exploded View as needed during this procedure. 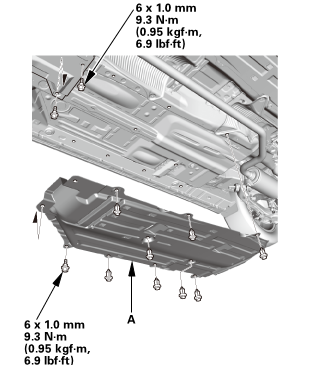 Except K24Z7 engine: Lower the shift lever boot (A) to release the hooks from the boot. 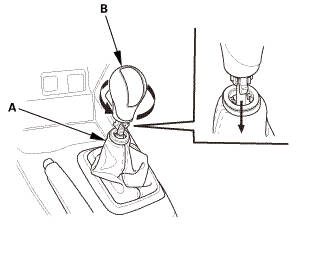 Except K24Z7 engine: Remove the shift lever knob (B). 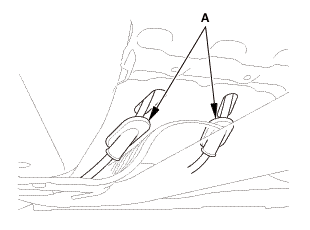 K24Z7 engine: Lower the shift lever boot (A) to release the hooks from the boot. 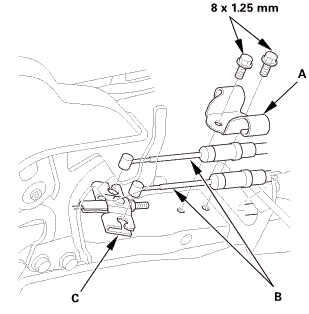 K24Z7 engine: Loosen the shift lever boot ring (B). 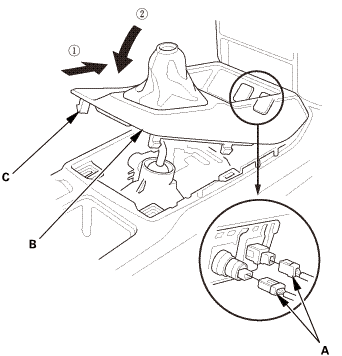 K24Z7 engine: Remove the shift lever knob (C). 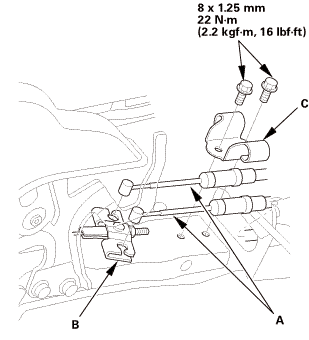 K24Z7 engine: Remove the shift lever boot ring. 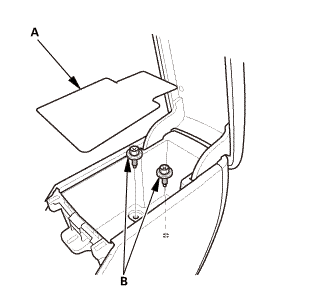 Remove the center console panel (B). 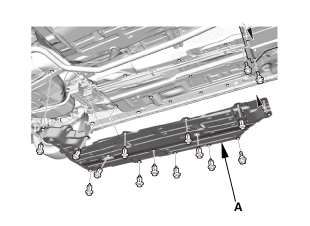 For some models: Disconnect the connector(s) (C). 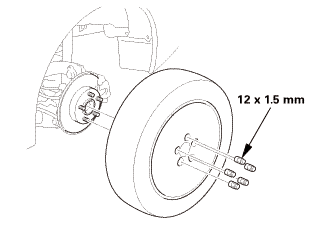 Remove the wire guide base (A). 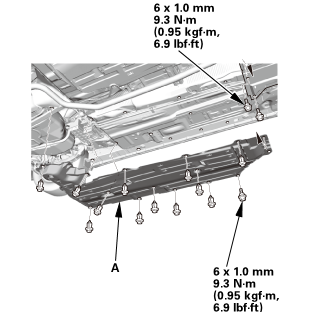 Disconnect the parking brake cables (B) from the equalizer (C). Remove the left floor undercover (A). 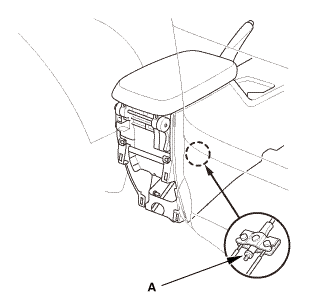 Remove the parking brake cable clip (A). 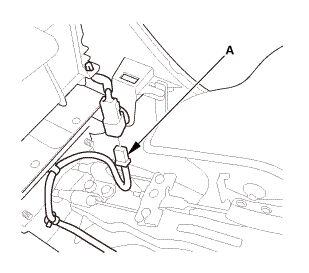 Disconnect the parking brake cable (B) from the lever (C). NOTE: Be careful not to bend or distort the cable and boot (D). 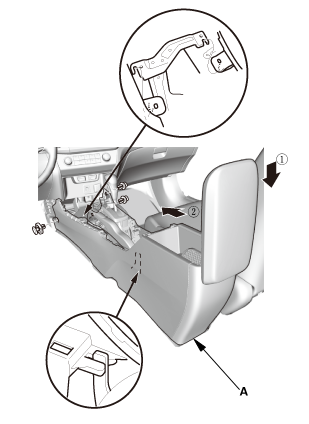 Remove the parking brake cable grommets (A). 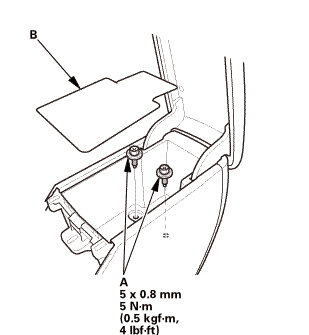 Remove the parking brake cable mounting hardware. Install the parking brake cable mounting hardware. 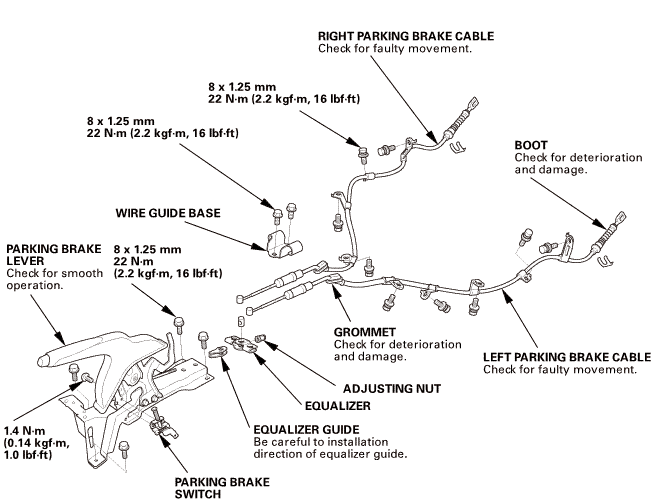 Install the parking brake cable grommets (A). 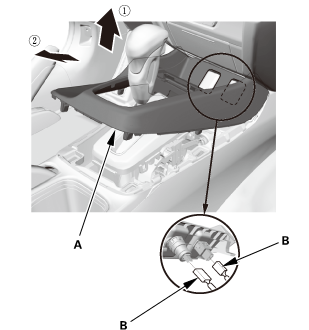 Connect the parking brake cable (A) to the lever (B). 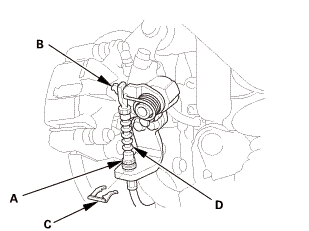 Install the parking brake cable clip (C). Be careful not to bend or distort the cable and boot (D). 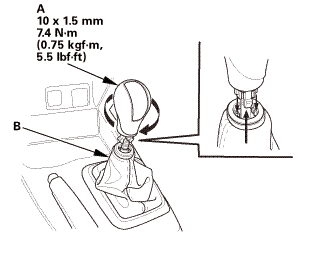 Make sure the parking brake cable clip is fully seated on the cable housing. 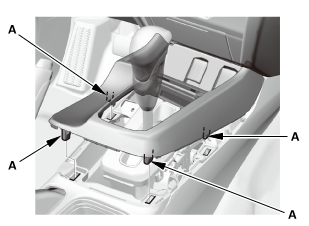 Connect the parking brake cables (A) to the equalizer (B). 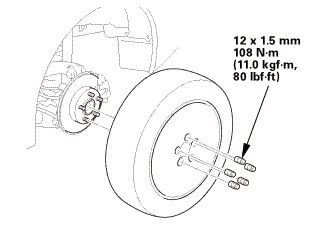 Install the wire guide base (C). Install the left floor undercover (A). 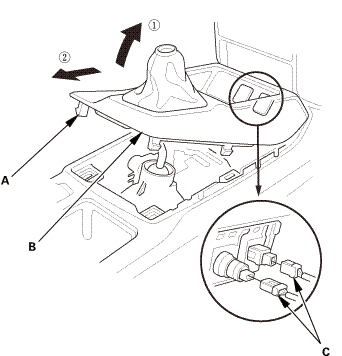 Except K24Z7 engine: Install the shift lever knob (A). 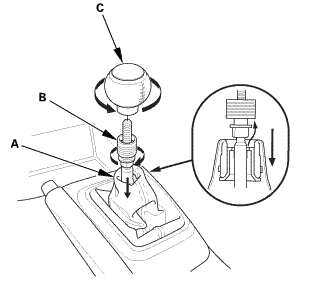 NOTE: Tighten the shift lever knob until the shift pattern is properly aligned. 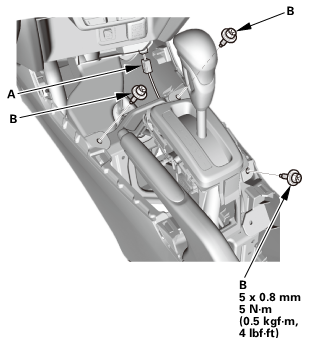 Except K24Z7 engine: Connect the shift lever boot (B). 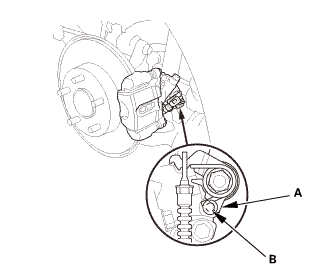 K24Z7 engine: Install and turn the shift lever boot ring (A) until it reaches the bottom of the threads on the shift lever. 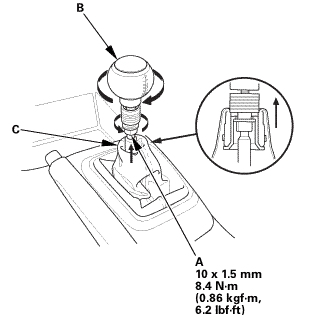 K24Z7 engine: Turn the shift lever knob (B) until the shift lever knob contacts the shift lever boot ring. 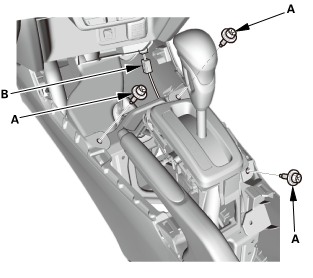 K24Z7 engine: Tighten the shift lever boot ring and the shift lever knob together with the shift pattern properly aligned. 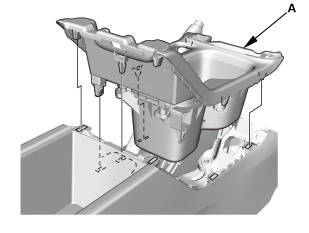 K24Z7 engine: Connect the shift lever boot (C).